Please find below information and a weblink to registration for the 2017 COSA AGM and Awards Banquet. Registration deadline for dinner is November 1 at midnight. All youth sailing and windsurfing programs for 2017 are now sold-out. Registration for 2018 will commence in November. COSA coaches taught a record number of sailors this year and look forward to another great sailing season next year! Youth from the COSA Race Team have been busy around the globe earning podium finishes this July! In Lithuania, Ryan Rubadeau and Gabriella Littleton both earned Bronze at the 2017 International Children's Games. The BC Sailing Championships in Squamish saw Ian Wright finish 2nd, a week after earning 4th at Waves. Other Waves results included Claire Ramsey in 3rd, while Kyle Wright, Max Ramsey, Katherine Littleton, and Mackenzie Littleton all had fabulous finishes. 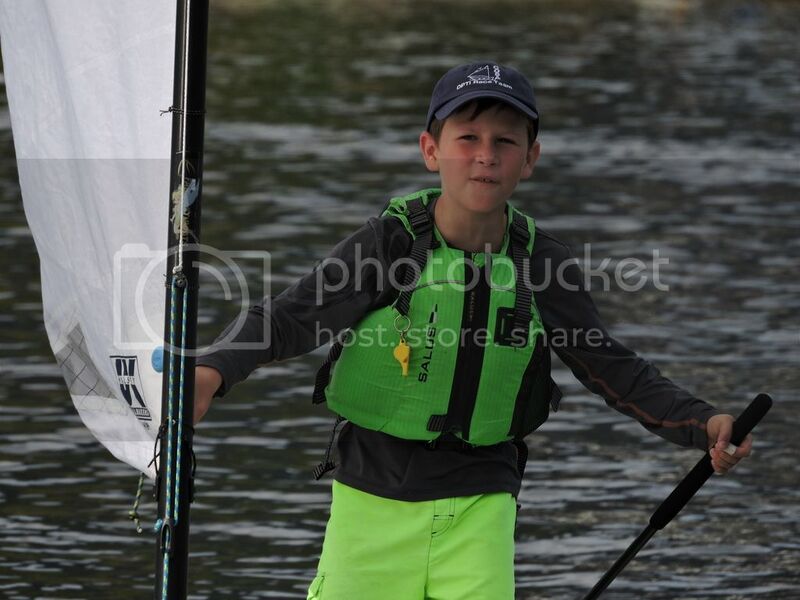 Meanwhile in Ontario, Zane Halperin finished in the top 10 at the Bay of Quinte Sailing Regatta. Great job team! 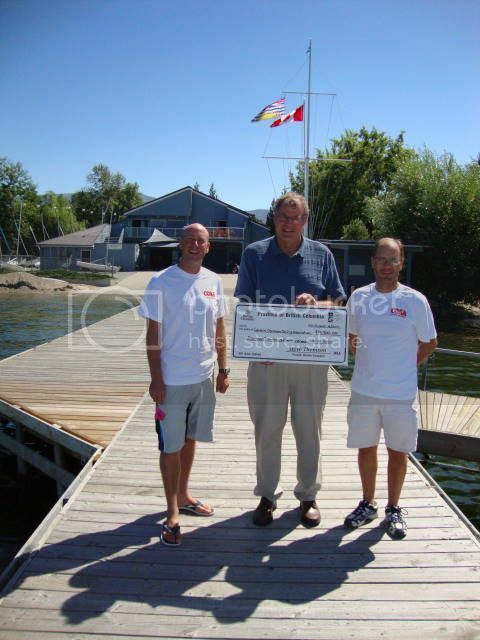 The Rotary Club of Kelowna generously donated $5000 to our Able Sail program this week. Able Sail provides sailing opportunities to individuals with disabilities. COSA has been offering accessible sailing for 25 years. The $5000 will be used to further enhance the programs capabilities, increasing the impact Able Sail has on our community! 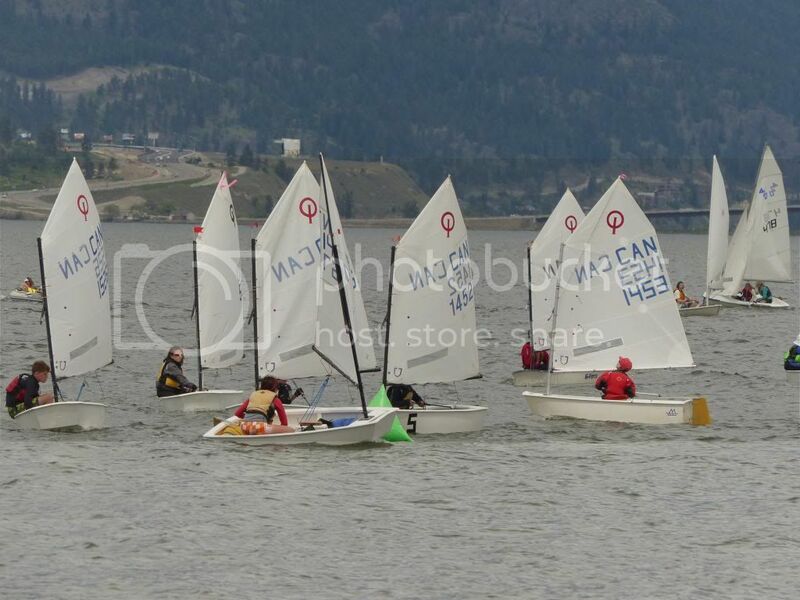 The Central Okanagan Sailing Association (COSA) held its 39th Annual Springtime Regatta over the May Long-Weekend, hosting dinghy sailors from across the Pacific Northwest. The COSA regatta is Canada’s largest yearly sailing event between Vancouver and Toronto, and despite high-waters, this year’s event saw 56 boats competing in 6 large fleets. Steve Brunsden was the race official for the four-fleet Optimist course, which had 17 sailors competing in 5 races. 1st in Blue fleet representing 11 and 12 year olds, was COSA Race Team member, Claire Ramsey, who finished just ahead of Vancouver sailor, Rory Walsh. Claire also took honours as the Optimist Overall Champion! Third place in the Blue fleet was Ian Wright of COSA, who also finished 3rd overall. COSA sailor Rory Wiebe finished 7th in Blue fleet. Ryan Rubadeau of COSA dominated the Red fleet for sailors 13 and up, while younger brother Tyler won the White fleet sailed by sailors 10 and under. Kyle Wright, also of COSA, finished 2nd place in White fleet, while 3rd was claimed by Hudson Amery of West Vancouver, and 4th going to Lauren Gray of COSA. The Optimist Green fleet is reserved for youth racers sailing their first regatta. Competitors included COSA sailors Max Ramsey, Devon Fraser, Grace Sisett, and Mason Mintz, as well as Oliver Mamon from Rossland. 1st in the Laser Radial fleet was Alec Coleman of West Vancouver, whose top finish in the large fleet earned him first overall for the regatta. 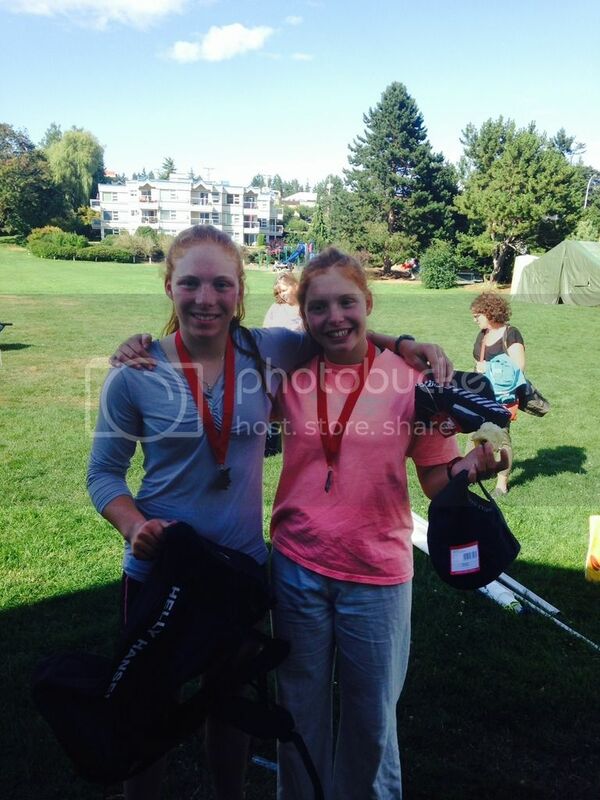 2nd place also went to a West Vancouver sailor, Alex Cherniavskii, with Bryana van Leeuwen of COSA in 3rd. Other top finishes in the Radial fleet included COSA sailors Zane Halperin in 4th, Cole Appleton in 7th, Katherine Littleton in 8th , Mackenzie Littleton in 10th, and Sam Bekkering in 13th. Gabriella Littleton of COSA finished 1st in the Laser 4.7 fleet. At the front of the Hobie 18 fleet was COSA sailors Gillian Thomson and Brishen Holmes-Slattery, who edged out Paul Evenden and Tawnya-Dhaun Fox of Cultus Lake; while in the X-Class fleet, Fireball sailors Greg Desilets and Evelyn Chisholm of Summerland cruised to a 1st place win on their Fireball. Murray and Fiona Shirley of COSA finished 4th in the X-Class fleet. The COSA Regatta was also host to the BC Laser Masters Championships, which sees sailors between the ages 35 and 80 compete in the Laser Full-Rig. Points are awarded based on finishes with an adjustment for age. Consequently, Great Grand Master sailor (65 years +), Peter Macdougal of Kimberly finished in 1st ahead of Grand Master (55-64 years) Baha Akin of West Vancouver in 2nd, and Apprentice (35-44 years) Maciej Mamon of Rossland in 3rd, despite Mamon’s faster finishes. Morrning Puddle Jumper classes for ages 4-7 are now full for the year, so we have added more sessions for 1-4 pm, with new classes starting every Monday through July and August! 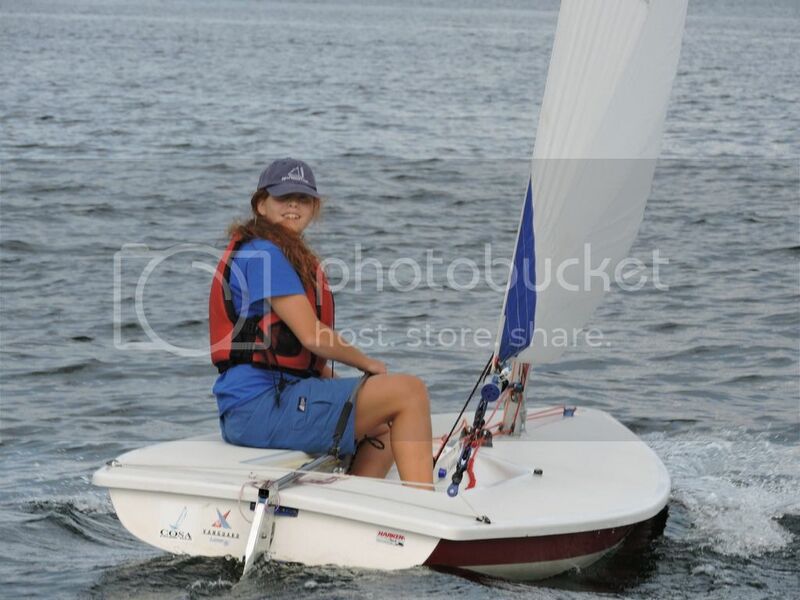 Click on our "Puddle Jumper" class link on the sailing lessons page to register. Visit our Sailing School link to register or learn about our many different programs for all ages! COSA Race Team Sailors Win Big! The Central Okanagan Sailing Association (COSA) Race Team completed the sailing season by once again posting top finishes at the Lake Osoyoos Sailing Club’s annual regatta. 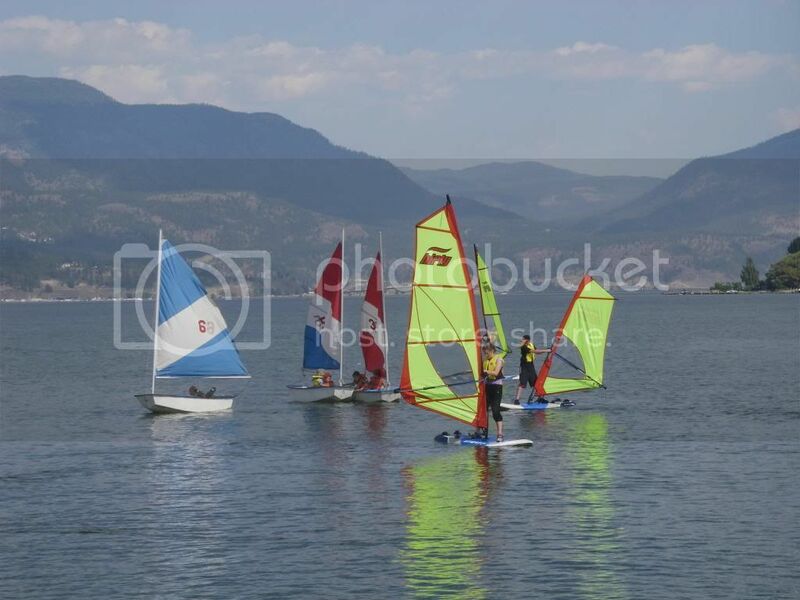 The Osoyoos event marks the end of dinghy sailing in the B.C. Interior, with competitors traveling from around the Pacific Northwest to compete. 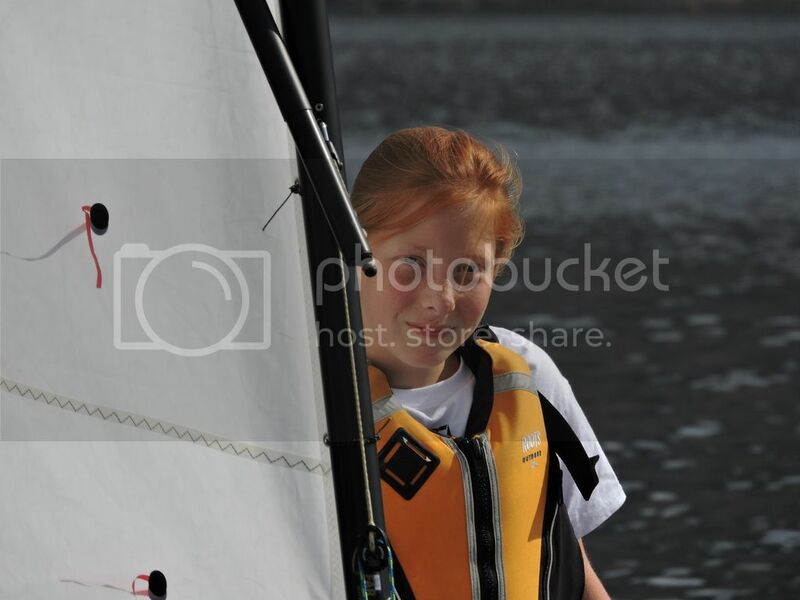 Claire Ramsey completed an amazing summer by taking first place in the Optimist White fleet, which follows on her third place finish at the Whistler regatta in August. Claire barely beat-out COSA teammates Ian Wright and Olivier Parrott-Landry, who finished in second and third respectively. Meanwhile, in the Laser 4.7 fleet, Cole Appleton won every race to easily earn gold in that fleet. The Optimist Blue fleet was claimed by COSA Race Team duo, Ryan Rubadeau (1st) and Gabriella Littleton (2nd), who will also be representing Kelowna at the 2017 International Children’s Games in Lithuania next July. The COSA Race Team also owned the podium in the large Radial fleet, with Zane Halperin beating out sisters Katherine, Alizon, and Mackenzie Littleton, who took second, third, and fifth positions. Zane’s excellent performance in the Laser Radial fleet was enough to see him named the Overall Regatta Champion, an honour made more amazing as this was Zane’s first regatta having just transferred from the Optimist Red fleet to the Laser Radial. COSA Head Coach, Devin Rubadeau, acknowledged that the teams’ performance at this regatta was particularly impressive. Rubadeau expects that the 2017 season will be even better, with a majority of the race team able to compete in the same division for the second year in a row. The Learn to Sail and Windsurf programs are sold-out for the remainder of the year. 2017 course dates will be posted by January! Members should have received an e-mail reminding them of the August 7th BBQ at the Brunsden's starting at 1pm. Please call COSA if you have any questions or are unaware of the details. One of COSA's founders, Ron Rubadedau, will be inducted to the Central Okanagan Sports Hall of Fame this fall. Ron is a long time board member and has been an active Race Officer for the past three decades. Calm winds Saturday made way for some blustery racing Sunday during the Central Okanagan Sailing Association (COSA) annual Springtime Regatta over the May long weekend. Participants travelled from across Western Canada to race in the BC Interior’s largest sailing event. A slow wind Saturday resulted in only a handful of races before a blustery Sunday ushered in strong winds to challenge the various sailing fleets as they raced around the buoys on Okanagan Lake. COSA sailors dominated a majority of the fleets, where sailboats are grouped based on type. One of the largest fleets is the Optimist fleet, which is primarily sailed by youth under 15. There were two classes in the Optimist fleet: White fleet for sailors 10 years of age and under, and Blue fleet for sailors ages 11–12. All of the awards for the Optimist were given to COSA sailors, including first overall in the Optimist, which was awarded to Ian Wright. First in Blue fleet went to Ryan Rubadeau, while Cole Appleton, Kay Freeman, Zane Halperin, Gabriella Littleton, and Rory Wiebe took second to sixth places respectively. Second in White Fleet went to Olivier Parrott, followed by Claire Ramsey in third and Tyler Rubadeau in fourth. The Hobie 18 fleet was also dominated by COSA sailors, with Paul Evenden and Tawnya-Dhaun Fox beating out Gillian Thomson and crew Brishen Holmes-Slattery to take first place. Third went to Cal Bridge and Ian Johnson. Meanwhile, the Radial fleet was won by Vancouver sailor Josh Smithman. The top local finish in the Radial was COSA sailor Bryana van Leeuwen in third place. Other top fleet finishes went to coastal sailors, with West Vancouver racers Wesley and Ethan Haffey winning the 420 fleet; Mark Cummings and Evelyn Chrisholm of Victoria winning the Fireball fleet and Jown Owen from Victoria winning the Laser Full-Rig event. The COSA event marks the beginning of the dinghy racing series for most local sailors, with a majority of major regattas being held in Vancouver or Victoria. The COSA event was also the 2016 BC Summer Games qualifiers for Zone 2 (Thompson-Okanagan Region), which saw nine COSA sailors qualify to race at the Abbotsford event. Zone 2 Summer Games representatives for sailing are Ryan Rubadeau, Ian Wright, Cole Appleton, Olivier Parrott, Kay Freeman, Zane Halperin, Gabriella Littleton, Rory Wiebe, and Emily Pilon. COSA coaches Devin Rubadeau and Bryana van Leeuwen will be coaching the Zone 2 team at this year’s games. This will be Rubadeau’s 14th BC Summer Games as coach for the Thomson-Okanagan. The 2015 COSA Awards were presented last week. Katherine Littleton and Elizabeth Hardy were named the Top Race Team sailors for the 2nd year in a row. Ian Wright was awarded most improved, while Tyler Rubadeau earned the "Spirit of COSA" trophy for volunteering. The "Mini-COSA Cup" for sportsperson of the year was given to Mackenzie Littleton. Finally, Mike and Marg Frisque were named to the COSA Cup for their extensive volunteer contributions to COSA. All deserving award recipients! COSA Race Team and Hobie sailors return from major championships. Several COSA sailors also competed in the 2015 Hobie 18 North American Championships in Avila Beach, California. Over 3000 students will hit the water sailing at COSA this year. For a better understanding of what that looks like, we recorded a regular 9am to 9pm sailing day, showing our various classes launching and returning. Programs included Puddle Jumpers (4-6 years old with red sails), Wind Riders (7-10 years old in Opti's with white sails), CAN Sail Basic and Intermediate (larger white sails), Windsurfing lessons, Catamaran lessons, Combo lessons, the Youth Race Team, and finally Adult Sailing Lessons. A busy day for sure! We recommend that you watch this video in HD! COSA coach Bryana coached an all female COSA Race team at the BC Sailing Championships in Squamish over the weekend. Winds gusting to over 25 knots didn't stop Opti sailors Gabby and Katherine, 4.7 sailors Alizon and Mackenzie, and Radial sailor Elizabeth from having a great time. 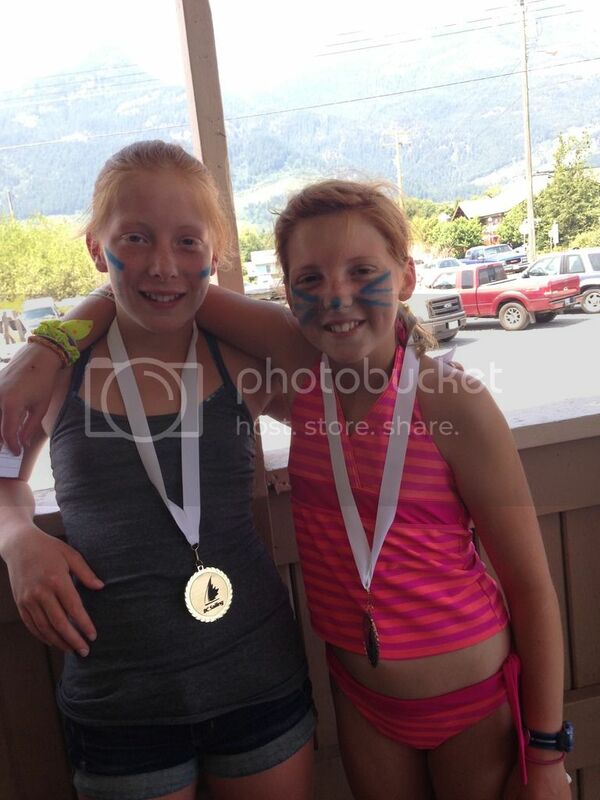 A couple of the gals even returned with medals! Congrat's Race Team! The next event the Race Team will attend is the Western Sailing Championships at the end of July in Comox. More sailors are schedule for that event! Registration for Learn to Sail lessons is now open. Rentals are also available this year. The COSA Spring Cleanup is on April 18 at 9am. There will be a free race rules seminar on May 7 in the evening. Contact Devin at cosa@shaw.ca to pre-register. On May 9 and 10 COSA will be hosting a Sail Canada Race Management clinic. Call 250-764-8808 for more info. The COSA Regatta is May 16 and 17. COSA board member and long time volunteer, Steve Brunsden, was recognized by the City of Kelowna and Pacific Sport at this year’s Sports Award Ceremonies. The following is an excerpt from Steve's nomination form. 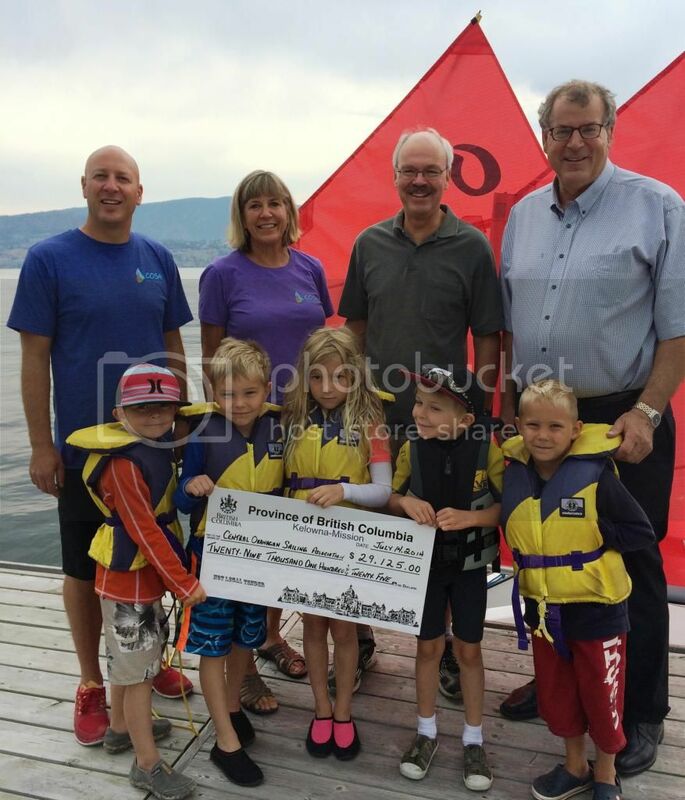 Steve is a long-time volunteer, with over 20 years of continued volunteer service at COSA, including serving as President for both the Central Okanagan Sailing Association and the Central Okanagan Small Boat Association. Steve is a tireless volunteer, giving hundreds of hours each year to sailing in the Okanagan. Steve is part of the COSA “Senate” – a group of old retired guys who work their buns of repairing, renovating, and doing anything and everything to make the clubhouse and grounds better. On a daily basis you’ll see Steve hammering together new lockers, fixing the dock or boats, or doing whatever chore requires dangerous power tools. Steve is also an avid volunteer on the water, working as a Race Officer in Kelowna, throughout the Okanagan, and as far away as Kingston, Ontario, where he runs races at Canada’s largest sailing event every year. To ensure that he is always delivering the best races possible, Steve participates in yearly courses, paying all costs out of his own pocket. Steve now travels throughout BC helping run races in his capacity as a National Race Officer. Steve and his wife Margaret also support sailing in other ways, by hosting out of town instructors at their house for the sailing season. Steve is the former CEO of Northern Airborne Electronics, and is currently helping out at Kelowna start-up, Jupiter Avionics. When not helping at COSA or travelling the world promoting locally made electronics, Steve is busy in his basement turning wood or making fabulous hand-crafted wooden gifts. Come summer time, you’re likely to find Steve at COSA, working to ensure that the club remains the best sailing school in Canada. The COSA AGM and Awards Banquet was once again a success. COSA also honoured Tom and Alison Apps for their many years of service to the club. Tom and Alison were awarded the COSA Cup and were made Lifetime Honorary Members of COSA. Congratulations to all of our 2014 Award Winners! The COSA Learn to Sail and Youth Development program once again received funding from the BC government to promote sailing and racing for youth in the region. This years amount exceeded $29,000. Central Okanagan Sailing Association members made the podium in both fleets of racers at the Hobie 18 women's and Hobie 16 Trapseat North American Championships last weekend. 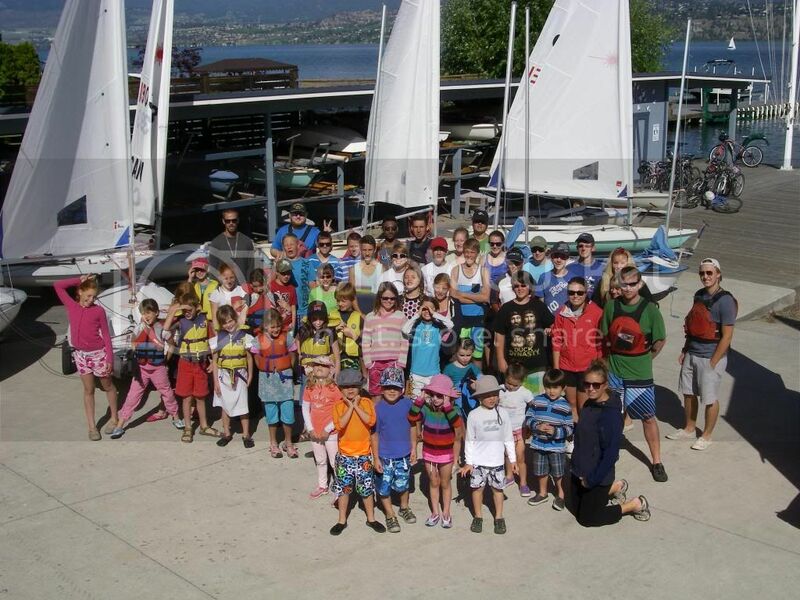 The Championships were held at the Central Okanagan Sailing Association. The Hobie 18 event was won by Chris Bradshaw and Serenity Taha of Kansas, who earned several first place finishes over the three day event. Gillian Thomson and Ruth Branscombe of COSA were a close second and remained the best finishers in the class for Canada. The battle for third place was intense, with a tie going into the third day between Kelly Havig and Valerie Pioszak of Oregon, and Bryana Van Leuuwen of Ontario and her sailing partner Heather Halperin of Kelowna. Van Leeuwen and Halperin, who are both sailing and race coaches at COSA, struggled in the heavy winds on the final day of racing to earn fourth place in the class. The fourth place finish of Van Leeuwen and Halperin was made even more impressive as their boat de-masted during the first day of racing. Other notable finishes were COSA coaches Brishen Holmes-Slattery and Zoe Roberts in 9th, and COSA coach Elizabeth Hardy with Tawnya-Dhaun Fox of Vancouver taking 7th. The Hobie 16 Trapseat, which is sailed by a disabled skipper and an able bodied crew, was won by Paralympain Danny McCoy and his COSA crew Larry Robinson. McCoy barely edged out another Paralympian, Ken Kelly, who was sailing with current COSA President Alan Wright. Third place was claimed by Americans Bob Jones from Washington, and Bob Johnson of Texas. The huge range of weather conditions experienced over the three day event made setting courses challenging for race officers, Ron Rubadeau and Steve Brunsden. Winds gusted to over 25 knots at various times during the event, while sudden wind shifts made setting and sailing courses difficult. Varying weather conditions also made sailing more interesting, as crews had to demonstrate skills in both light and heavy winds. The third and final day of sailing was the most dramatic, with heavy winds throughout the day. A capsize in the fourth race by ninth place finishers Holmes-Slattery and Roberts cost the team several positions in the overall standings. The Thomson/Branscombe team traded first and second place finishes with overall winners Bradshaw/Taha. The Central Okanagan Sailing Association held its annual sailing regatta last weekend, with more than 70 boats from around the Pacific Northwest in attendance. Race officers Ron Rubadeau and Steve Brunsden were able to run nine races on two courses thanks to strong winds. COSA sailors dominated the Hobie 18 fleet, with Frank Halperin and Darrell Skinner placing first, Gillian Thomson and Brishen Holmes-Slattery second, and Allan, Ian, Kyle and Logan Wright combining for third. COSA member Tyler Rubadeau, 7, was once again the youngest sailor in the regatta. He and his brother, Ryan, as well as Gabriela, Katherine, Mackenzie and Alizon Littleton, Zane Halperin and Cole Appleton, each took turns winning races in the ultra-competitive Opti-Green fleet. The COSA Race Team also enjoyed strong finishes in the Radial class, with Ian Johnston racing to a 10th-place finish in the regatta’s largest fleet. Thish Rajapakshe, Zoe Roberts and Sam Carson were 11th, 12th, and 13th, respectively. Adam Sorensen and Gage Flint placed fourth and 10th in the Laser fleet. COSA coach Bryana van Leeuwen was particularly impressed with the perseverance of Rajapakshe and Carson. “The winds were extremely strong, which resulted in multiple capsizes by both Thish and Sam throughout the first day of racing,” van Leeuwen said. “Despite the cold water and the exhaustive nature of righting a capsized Laser over and over, both sailors finished every race. COSA will host two North American championships this June, while the COSA race team will be participating in a number of provincial events throughout the sailing season. 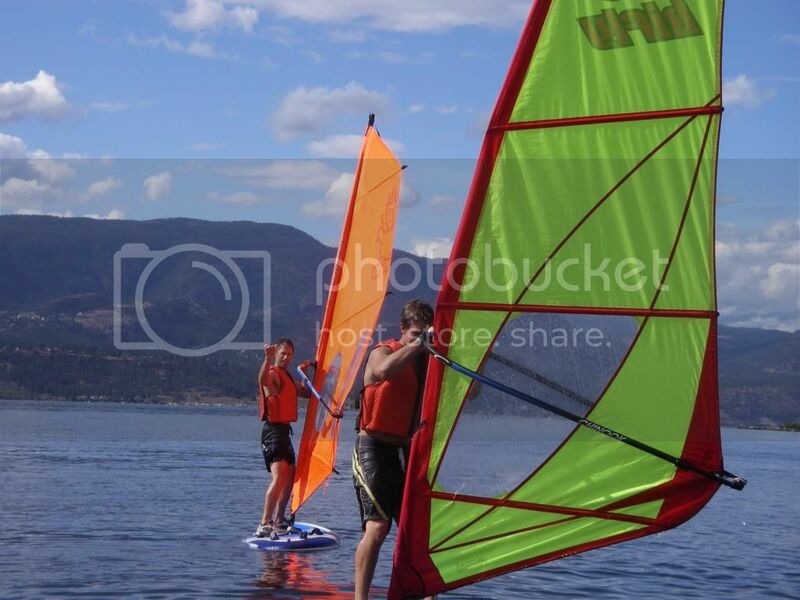 For more information about the COSA race team, or to register for sailing or windsurfing lessons, visit www.cosa.bc.ca. Several sailors were recipients of awards at this years AGM. Elizabeth Hardy was recognized as the "Top Youth" sailor, while Ryan Rubadeau and Alizon Littleton were both "Most Improved". Zoe Roberts was the "Spirit of COSA" award recipient for youth volunteerism. The COSA Cup went to founding member, Jim MacDonnell, who was recognized for his many years of dedication to the club. A big congrat's to all of the Race Team members and volunteers who help to make COSA a great place to sail. 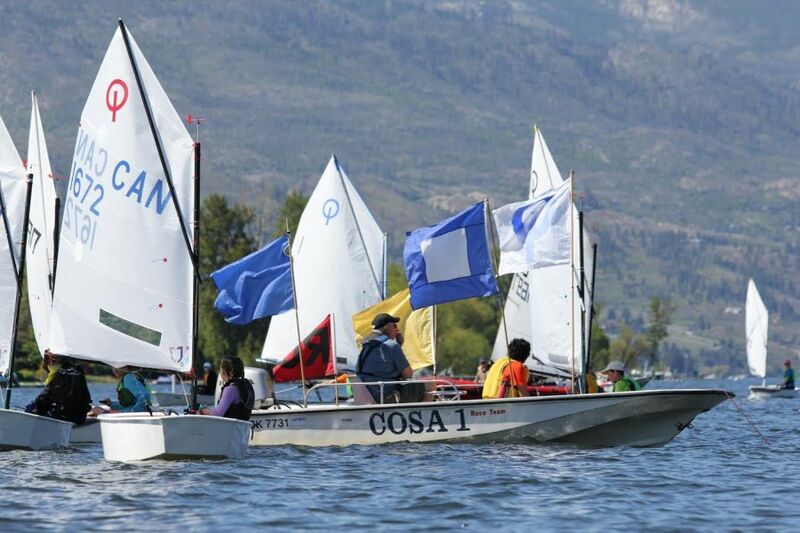 Not much wind to be seen at the 2013 Osoyoos Invitational Regatta, but that didn't stop the COSA Race Team from having a great time. Along the way, Elizabeth Hardy earned 2nd in the Radial class (first youth), while Thish Rajapakshe won the 4.7 class. Go to the photo gallery to seem some of the pictures from this years event. The COSA cleanup will be on Saturday, November 9th at 9am. Free burgers and hotdogs to follow. 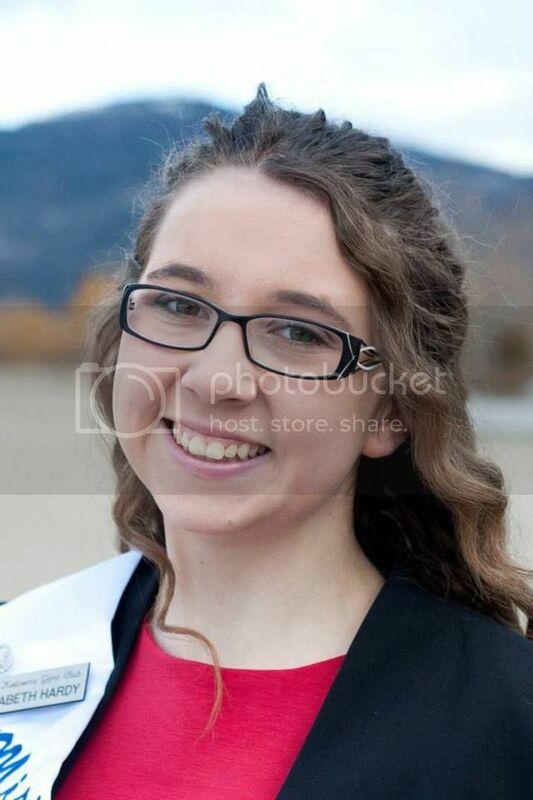 COSA Coach Named "Kelowna Princess"
COSA Coach and Race Team member, Elizabeth Hardy, has been named the 2013 "Kelowna Princess" at this years Lady of the Lake awards ceremony. A former BC Games Gold Medalist and avid Girl Guide, Elizabeth is an extremely popular coach with both kids and parents! Congrat's Elizabeth on this well deserved honour! COSA is selling all of our windsurfing gear purchased in 2011. 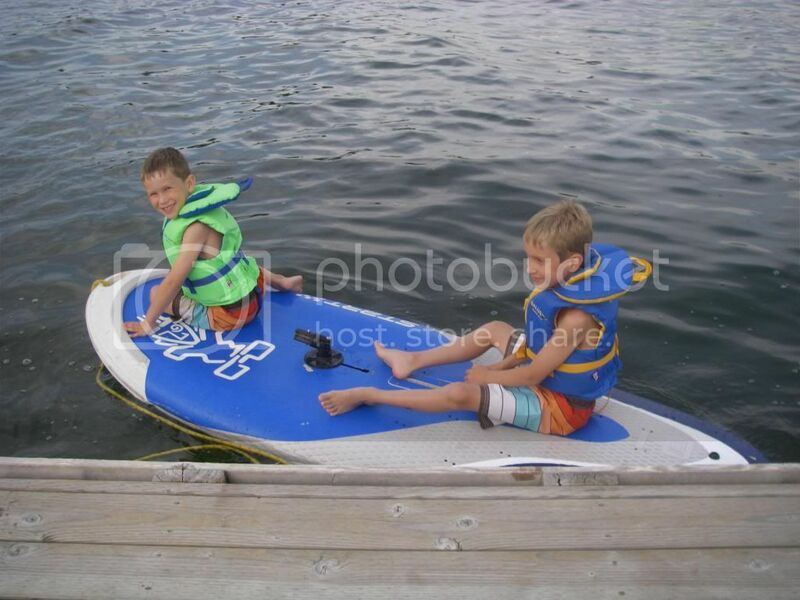 All of the boards are “Rio” boards from Starboard, which can also be used to SUP (Stand-Up-Paddleboard). We prefer to replace our boards every other year to ensure our customers have access to the newest equipment. The Rios are Starboard's entry-level all-round boards. They cover learning, progressing and planing for the first time. 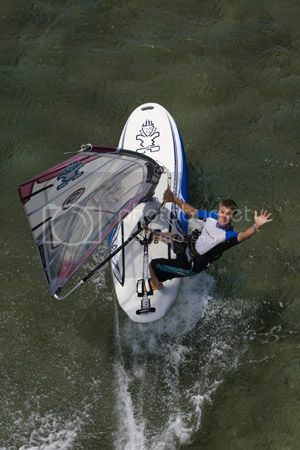 They are considered all-rounders because they are equally good at providing stability for beginners to learn and providing power for progressing windsurfers to get planing smoothly. Once planing, the Rios feel responsive and fun. The Rios advanced shape and fittings make them by far the most thoroughly designed entry-level board on the market today. Boards come with everything you need to windsurf. SUP paddle not included. For more information please e-mail cosa@shaw.ca, or call 250-764-2203. Sailing and Windsurfing Lessons VERY full! Parents looking to register their children (or themselves) for sailing lessons better hurry. Classes in July are full, and August is looking busy too. This week there are over 150 students between the ages of 4 and 50 taking lessons, with every one of the learn to sail and windsurf classes running at capacity. Next week will be no different, with waitlists for most courses! Sailing Director of the Central Okanagan Sailing Association, Devin Rubadeau, will be once again be traveling abroad to coach at a Sailing World Championships, but not as the Head Coach of the Canadian Team. National funding cuts have resulted in the temporary cancellation of the Canadian Forces Sailing program, which Rubadeau has led for the past decade. Upon hearing that the Canadians would not be travelling to the Military World Championships in Bergen, Norway, the host country reached out to Rubadeau, requesting he coach their team. Coaching national teams at World Championships is nothing new to Rubadeau, who in addition to acting as head coach for Canada, has also assisted teams from countries such as the Netherlands, Pakistan, Uruguay, and the United States. While this will be Rubadeau’s first time coaching the Norwegian team in an official capacity, the coach and athletes have worked together many times at previous events. Unlike Canada, Norway, and a handful of other countries, many nations run their Olympic sports programs through their military. Consequently, a majority of the athletes at the 2013 Military World Championships will be Olympic sailors, including several past Olympic medalists. Rubadeau and the Norwegian sailors will have an uphill battle as they compete against teams that operate under highly developed, state funded programs. Additionally, like the Canadians, the Norwegian sailors are all fulltime service members, making a consistent training program difficult. Despite these challenges, Rubadeau believes that a home-water advantage will make all of the difference. 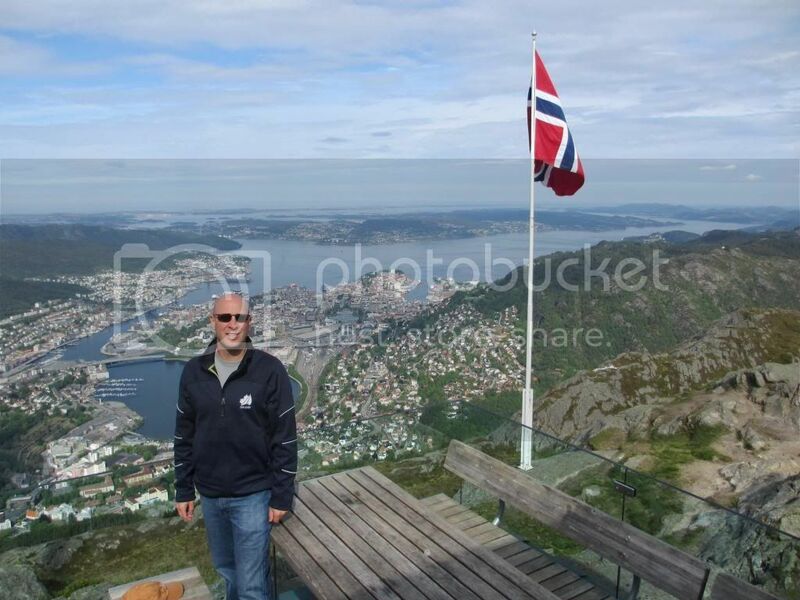 Norway will host the World Championships on the Island of Askoy, minutes from the city of Bergen. Sailing will take place on the North Sea, with all sailors competing on 3 person Ynglings. The Yngling is a traditional Olympic class with a mainsail, jib, and spinnaker. Having already coached Yngling sailors in Denmark and Norway, Rubadeau noted that this World Championships will be easier than others. “I have known the Norwegian athletes for almost 10 years, and have had some really nice experiences coaching Yngling sailors on the North Sea previously, so I’m feeling more prepared than usual going into the 2013 World Championships. The Norwegian team has been training hard, so I’m hopeful that together we can make the podium.” Rubadeau continues to run programs at the Central Okanagan Sailing Association on Hobson Rd. For more info about COSA, visit www.cosa.bc.ca. 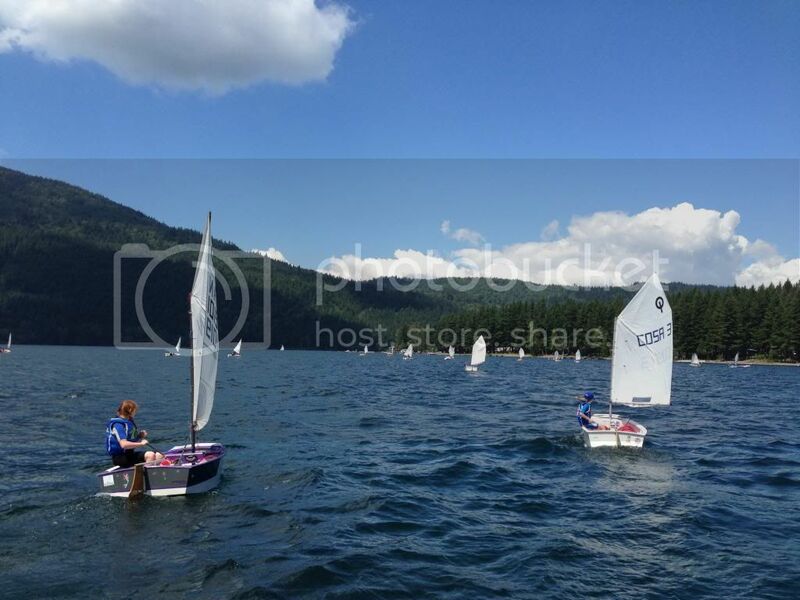 The COSA Race Team has returned from the Cultus Lake Sailing Club's Sockeye Regatta. Gage, Adam, and Thomas raced their Lasers, while Elizabeth and Zoe raced Radials. Alizon, Katherine, Mackenzie, Gabriella, Ryan, and Tyler sailing in Green Fleet Opti's. No wind all day Saturday gave way to a strong breeze on Sunday. The big kids had a great time ripping up the course, while the Opti's found the whitecap conditions challenging. Despite having to return to shore to empty her boat of water after a capsize, Alizon didn't miss any races, as she and Katherine stuck it out in heavy winds. Everyone had a great time camping and sailing, with lots of play time to be had! For the first time in COSA's Team Racing history, the Adult team beat the Youth in what was very close racing. In fact, it took the final race to determine the winner. Despite sailing light and fast, the Youth couldn't stay ahead of the aggressive Adult Team. The Youth promised that they would be ready for the next event. COSA coaches have been busy teaching local school children how to sail. May and June is booked with Elementary classes that visit COSA to participate in a one day learn to sail course. 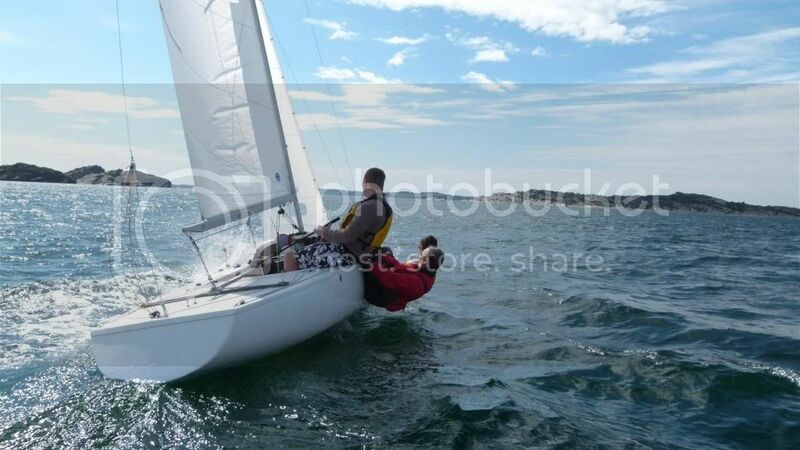 On most days, new sailors will have a chance to sail their own Flying Junior sailboat. Windier days may include catamaran rides on the Hobie's. Over 1500 students take part in our May and June "school program" every year! 84 boats competed in COSA's annual Springtime Regatta during the May long-weekend. Club sailors did great, with several top finishes in a number of different fleets. A big thanks to everyone that helped onshore and on the water! Local sailors performed to a high standard as the Central Okanagan Sailing Association (COSA) held its yearly Springtime Regatta over the May long weekend. Eighty-four boats from across the Pacific Northwest competed in five races, making this regatta the largest sailing event in the B.C. Interior. Moderate winds and weather made for lots of fun and fair sailing, under the watchful eye of experienced race officers Ron Rubadeau and Steve Brunsden. COSA sailors dominated the local sailing scene, taking several top finishes in various sailing fleets. Thish Rajapakshe, Devin Araujo, and Zoe Roberts form COSA finished first, second, and third in the 4.7 class. The very large Radial fleet was won by Mexico’s Natalia Montemayor, while COSA sailors Elizabeth Hardy, Brishen Holmes-Slattery, and Ian Johnston finished in 14th, 18th and 19th respectively. The equally robust Laser fleet was won by top Canadian sailor, Matthew Turner from Victoria , with COSA sailors Adam Sorensen, Thomas Hardy, Robbie Stevens, and Gage Flint taking 8th, 11th, 12th, and 13th. There were several new sailors in the Optimist Green Fleet, including COSA racers Katherine, Alizon, Mackenzie, and Gabriella Littleton; and Ryan and Tyler Rubadeau, participating in their first major event. 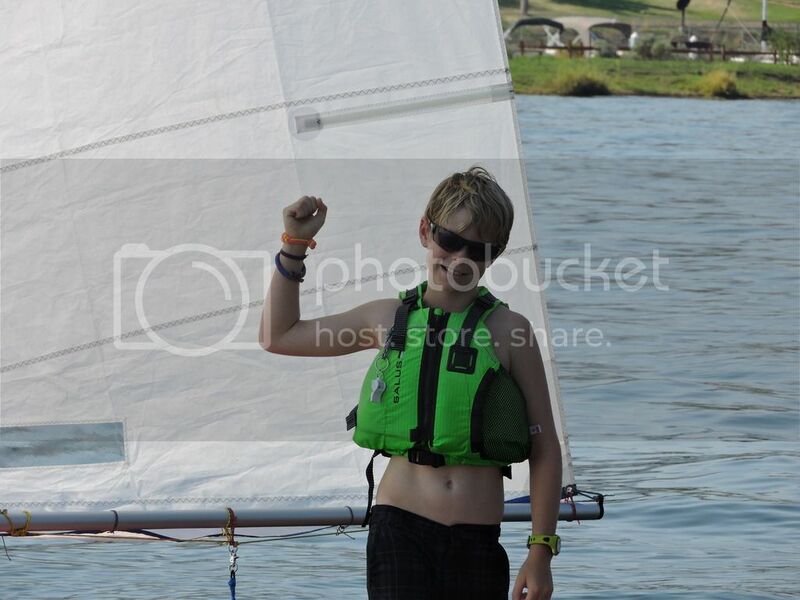 Tyler was also the youngest sailor in the regatta at 6 years of age! Heather Halperin, coach of the local Optimist sailors, noted how much the young racers had improved over the course of one event, while Open Fleet coach Mark Williamson was impressed by the competiveness of the COSA sailors. With strong finishes by the newest members of the team, and excellent results for the advanced sailors, it appears that COSA is once again poised to do well provincially.